Valsarian says: "Dragons > You!" 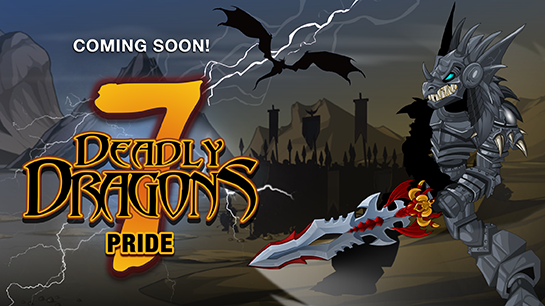 The 7 Deadly Dragons Saga continues this weekend as we face… Valsarian, Storm Dragon of Pride! For millennia, dragons were the greatest creatures on Lore… until humans came. Until DragonSlayers came. 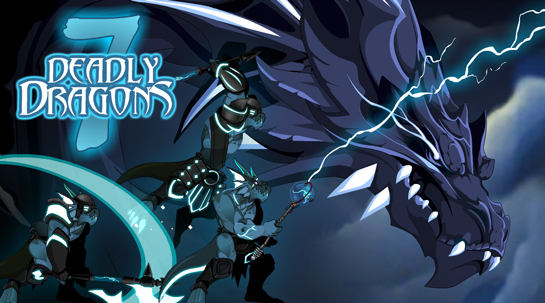 Starting this Friday, your adventure begins in Darkmoor Village, the first town Valsarian's Storm Drakel army has conquered as he begins his press to turn humans into slaves... and Dragons into KINGS! Find the Blackbolt armor set in the Ashfall Gear shop for AdventureCoins, and battle Valsarian the Storm Dragon of Pride to collect all the pieces of the BoltStriker set! All of the Storm Drakel have a chance to drop even more reward gear, so get in and get battling! 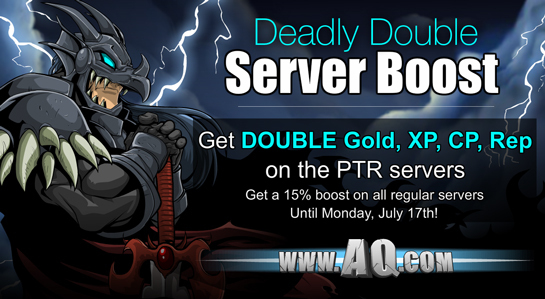 Battle the second of 7 Deadly Dragons this weekend at www.AQ.com. Long-time hero and guest artist, Bido, levels up in the real world this weekend. He's crafted some celebratory gear to help you /party - find it in the July Featured Shop in your game menu until August 4th!